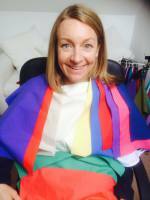 "Spending the morning with Tina from Bloome Colour Consultancy has been a real eye opener. Tina spent time understanding my personality and how that reflects into what I like to wear. With some gentle questioning, she was able to identify the colours I'm naturally drawn to, and while she wasn't dismissive of those choices, she was able to show and guide me on the range of colours that really suit me. Being able to demonstrate how these colours can lift you - both physically and mentally - was a real affirmation of the power of wearing colours that suit you. " "I had my colours done years ago, but as time went by I ended up resorting to more neutral tones and lots of black – even though I know that’s something I should never wear! Tina has made me love colour again and even though I thought I knew certain colours that were good for me, she has helped me realise that the tone and intensity are as important as the colour itself. I also love the fact that Tina can supply make up and accessories and has helped me take the correct colours through into these areas as well. I’ve booked a shopping consultation for next week and I can’t wait to see what I come back with!" "Having had my colours assessed by one of the other main companies a couple of times over the course of the last 18 years and was told I was 2 different seasons between the 1st and 2nd consulation it really knocked my confidence and I couldn't understand why and how I could have gone from a blue tone to a yellow tone season. 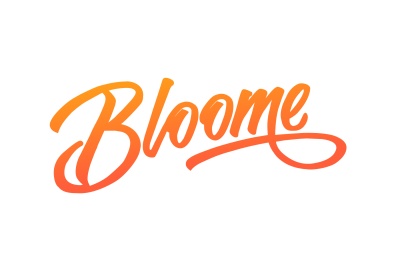 With Bloome Colour Consultancy Tina goes to another level in assessing your colours, they are not just season based and there can be cross overs. She is not constrained by the rigidity of someone having to be just one season which is what the other consultancies do. I came away so relieved to understand why I had been assessed as being 2 different seasons and a solution, I am now an excited owner of a swatch of Spring/Summer light colours that suit me and I can't I can't wait to go shopping."